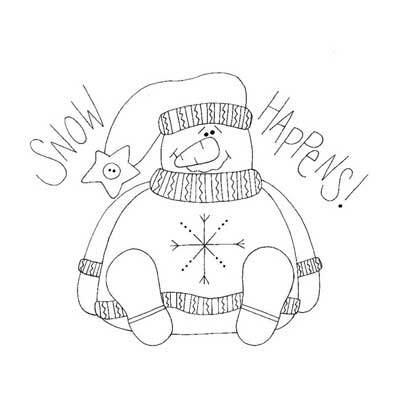 Check out this Snow Happens snowman template. Snowman looks stunned and is sitting down. Black and white outline of this funky snowman.